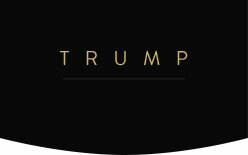 The One Bedroom residences at Trump International Hotel Las Vegas are a true interpretation of modern, sophisticated luxury. As you step in, you are immediately struck by dramatic floor-to-ceiling windows, featuring the most extraordinary views of Las Vegas, complemented by an extravagant, yet refined living space. With beautiful Kitchens featuring Bosch, Wolf, and Sub-Zero appliances, and expansive Master Bathrooms complete with Breccia Onniciata marble floors, Italian marble countertops, his-and-her sinks and a six-foot whirlpool tub, these are the most spectacular Las Vegas residences.